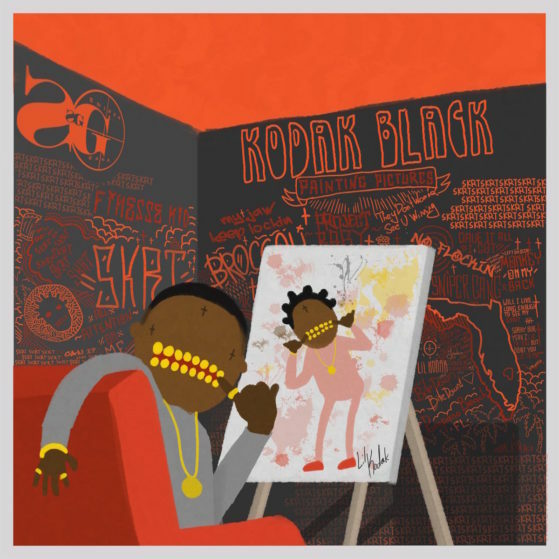 Kodak Black’s debut album arrives amidst personal chaos and an ever-changing rap landscape. Did the Finesse Kid trick us all, or is he truly worth the hype? Across America, street rappers who obsess over detail and storytelling with grim realism are launching their careers, but in today’s melody-driven rap landscape, it feels a lot harder for any of them to become stars. Just ask the Bay Area’s Lil Yase, Louisiana’s Tec & Maine Musik, Alabama’s OMB Peezy, or Detroit’s Bandgang collective how far the pen gets you in 2017, when it’s increasingly becoming about the clicks, the shares, the views, and such. If anything, it’s that world to which a rapper like Kodak Black, “The Finesse Kid,” seems beholden.